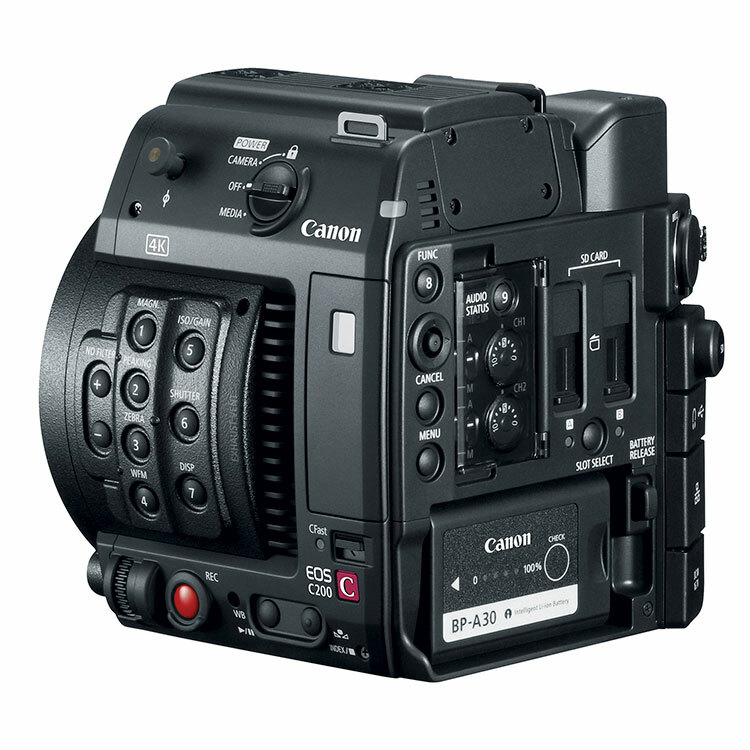 Apply for a Canon C200B lease: 1.99% & 0% Interest Lease Program. Canon ITCG, in partnership with Canon Financial Services, Inc. is offering 1.99% financing for 36 months and 0% for 24 month leases. 90 Days Deferred Payments: Lease select Canon Cinema EOS products in 2017 and have your payments deferred by 90 days! The camera can record internal 4K RAW to a CFast™ 2.0 card in our new Cinema RAW Light format without compromising detail, as well as 4K UHD and Full HD in MP4 format to SD cards. 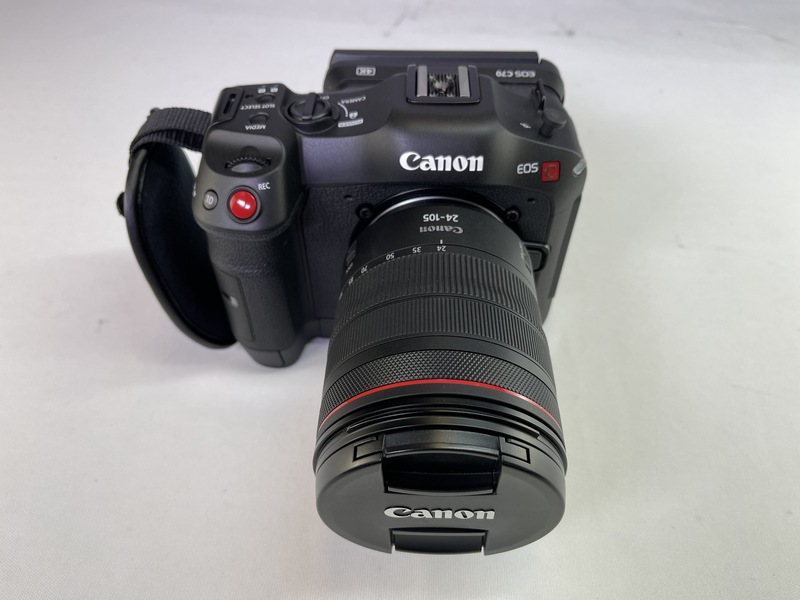 The 8.85 Megapixel Super 35mm CMOS sensor, 13 stops of dynamic range, Dual Pixel CMOS AF, full compatibility with Canon EF-mount lenses, and HDR capability help make the EOS C200B ideal for film, documentary and television production, corporate and event videography, and newsgathering. The camera’s multitude of features help deliver outstanding image quality, performance and versatility. Q: What lenses do you require with this particular camera? 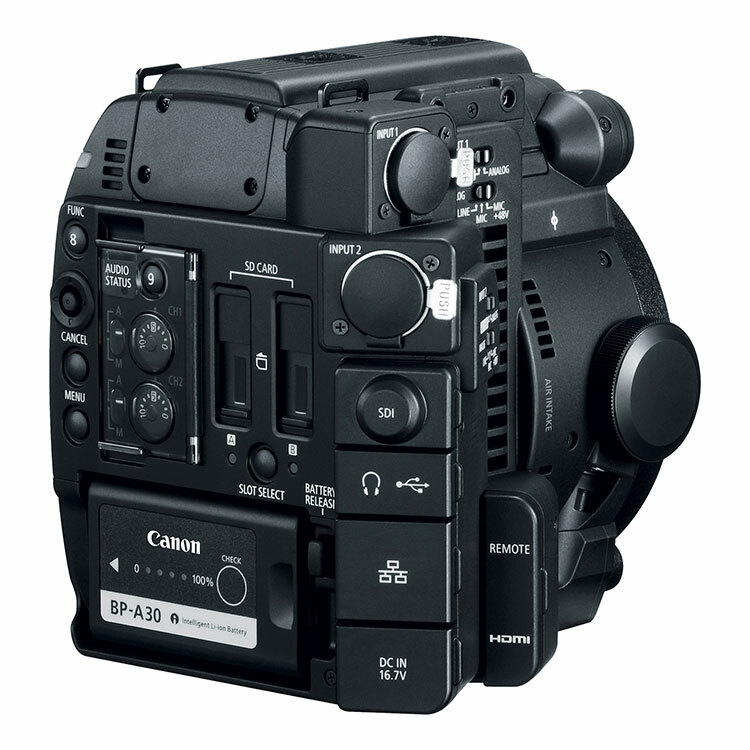 A: The Canon Cinema EOS C200B camera features a Canon EF Mount. Any EF-Mount lens (whether Canon brand, or otherwise) will fit it. Canon does have a C200 kit with an EF 24-105mm F/4L IS II USM lens (no kits exist yet for the C200B), so that would also make an excellent addition to the C200B. Q: how should a Ronin-M or MoVi operator mount the LM-V1 touch screen lcd? Can the LA-V1 LCD attachment be used, or will a 3rd part mount be required? A: Any third part mount can be used to mount the LM-V1 LCD Screen to a Ronin or MoVi using the 1/4"-20 mount on the bottom of the LCD. 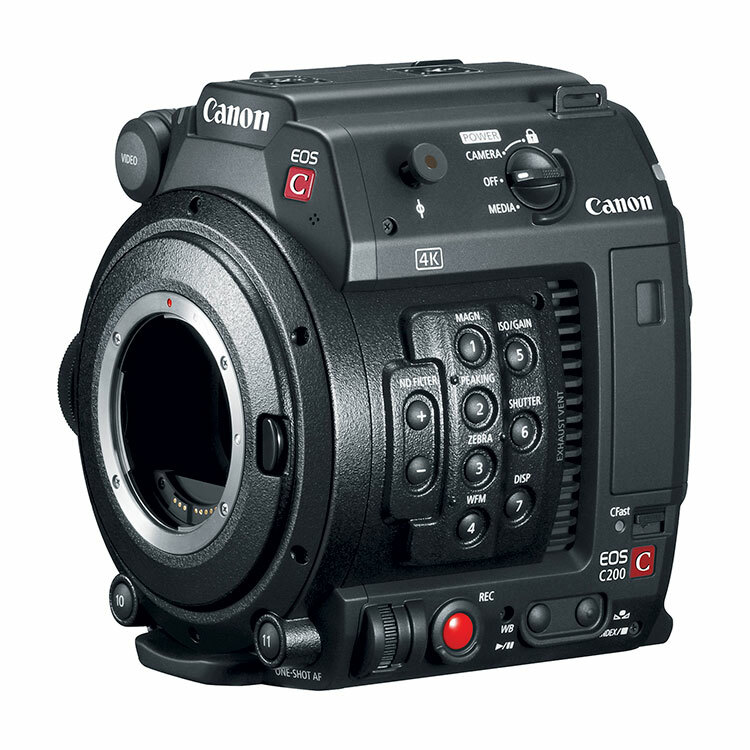 Q: What accessories are included in the Canon C200 that are not included with the C200B? 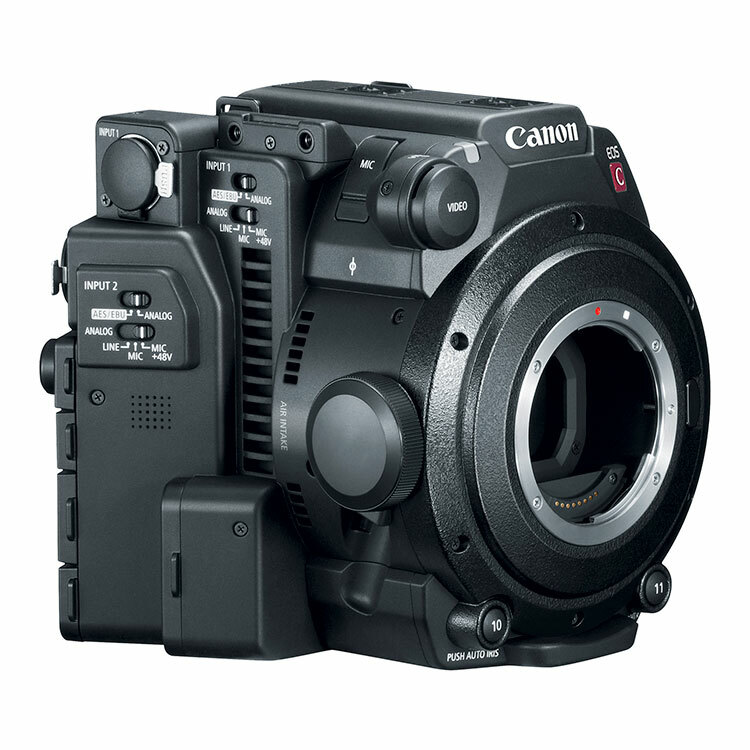 A: The C200B does not include the built-in electronic viewfinder, LM-V1 LCD touch Screen Monitor, GR-V1 Top Handle, UN-5 Unit Cable, and GR-V1 Handgrip accessories that are supplied in the C200 box. 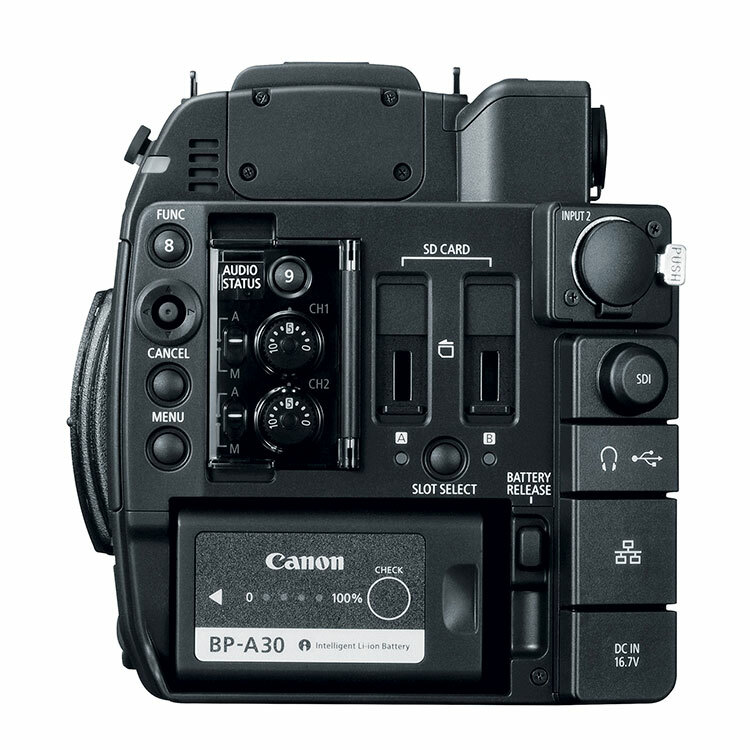 Q: What is included in the box with the C200B? 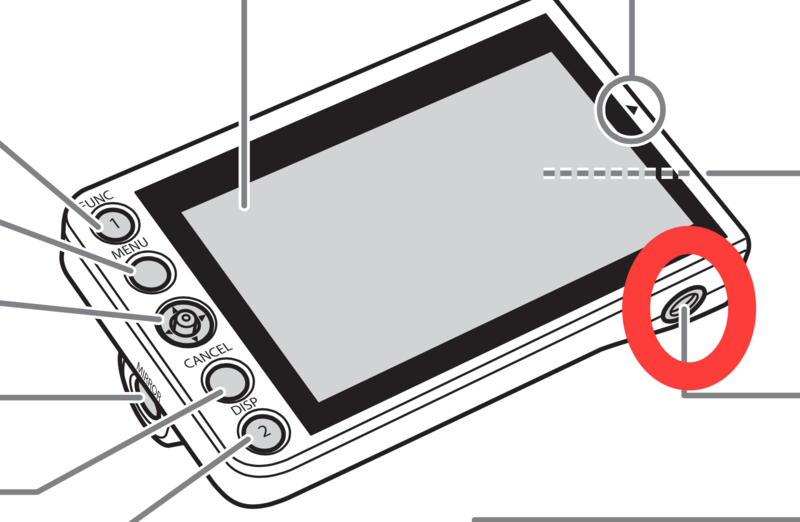 Q: How do you operate touch focus without the LM-V1 touch screen LCD? A: If you don't purchase the optional LM-V1 Touch Screen, you have two options for controlling the Auto Focus box. C200B shooters can control auto focus the same way that you would with the Canon C300 Mark II by using the optional GR-V1 Camera Grip joy stick to move the focus box. Q: Which lenses will work with the C200 Auto Focus?